The City of Stamford Connecticut is 39.9 square miles in size, located approximately 35 miles east of New York City on the shores of Long Island Sound, extending North to the New York State border. Stamford has a daytime population of over 175,000 residents, which includes approximately 50,000 people who commute from the tri-state area. 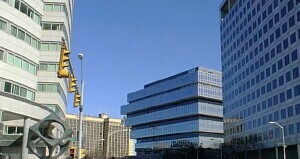 Stamford is the headquarters for many Fortune 500 companies such as Xerox, GE Capital, Perdue Pharma, and UBS. The building boom of high rise office buildings, shopping centers, apartments, condos and single family homes started in the early 1980's and has continued as The Royal Bank of Scotland and other companies relocate with their employees to the city from New York City and other areas. 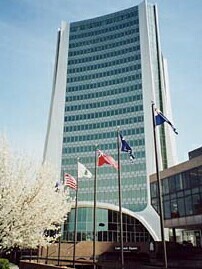 Prior to 1950, the City of Stamford was actually two separate entities, The City of Stamford, and The Town of Stamford. The City area has provided full career fire protection since the late 1800's, while in the Town district, fire protection was provided by volunteer fire departments organized by civic minded citizens aware of the need to protect lives and property in their neighborhoods. Fire protection in the City of Stamford has remained a dual level of service system based upon these old city/town boundaries. The areas formerly in the town of Stamford are protected by Combination Fire Departments. To provide on duty staffing at their fire stations as service demands increased and the numbers of volunteers decreased, each of the volunteer departments hired their own career personnel, and signed separate labor agreements with these employees. Each of these stations is now staffed around the clock by at least two on-duty paid career firefighters, and often more than two career personnel. All of the expenses of these departments are funded by the taxpayers. The career personnel are responsible for maintaining the stations and equipment and responding to emergency incidents. The volunteers respond from their home or business to the incident, and provide some in station staffing when they are available. In an effort to assure the continued safety of all city residents, The City Administration, conducted a fire service analysis using an outside consultant. As recommended in their report, in an effort to assure the continued safety of all city residents, and to contain costs, the Stamford Fire & Rescue Department developed plans, using existing personnel, to provide a fully career staffed engine company in the Springdale Fire District. In November of 1997, the final plans were formalized and Engine Company #7 went into service. Engine 7 now provides the primary fire and emergency protection to the Springdale neighborhood with a four-person crew, 24 hours per day, 365 days per year. The Department has a Mission Statement with clearly stated goals and objectives. Personnel from every rank in the department are involved in special projects to help the department reach its goals and objectives and to help us serve the public better. Beyond the routine firefighter and officer certifications, the departments personnel are certified in Haz Mat Operations and Technician levels, Emergency Medical Technician, SCUBA, Confined Space and Trench Rescue, High-Angle Rescue and many other skills to help us provide first class service to the public including medical first responder with automatic heart defibrillation capabilities. The departments management staff consists of the Fire Chief, 2 Assistant Fire Chiefs, and a support staff which includes an Administrative Assistant and an Account Clerk. The Fire Marshal division is staffed by the Fire Marshal, 1 Assistant Fire Marshal and 7 Deputy Fire Marshals and a Secretary. They are responsible for all plan reviews, code enforcement and fire investigation within the district which includes over 7,000 individual parcels requiring annual inspection as well as a major building boom in the district. This division also coordinates the departments Fire Safety Education Program. The Training division is directed by a Deputy Chief who coordinates all aspects of training and certification for the department utilizing department personnel with specific knowledge, skills and abilities, as well as State and outside instructors as may be needed. Newly hired Recruit Firefighters must successfully complete a 12 week training program and be certified as firefighter 1, Haz Mat operations level and EMT prior to being assigned to the suppression division. The department has totally rebuilt its fire training facility with a new 5 story training tower, attached 2 story burn building and other training props. This new facility includes modem gas fueled fire simulation equipment to improve fire training safety and prevent pollution of the environment. The training facility is used by all the Stamford Fire Departments, as well as, being available for use by other agencies on a fee for service basis.